Jeep's a tough breed of car and a tough brand - which is just as well given the knocks it's taken over the last few years. 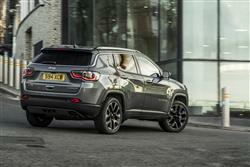 But it's back, with forward-thinking ownership from Fiat - and fresh models like this rejuvenated Compass, here to take on well established rivals in the Nissan Qashqai-dominated mid-sized SUV sector. 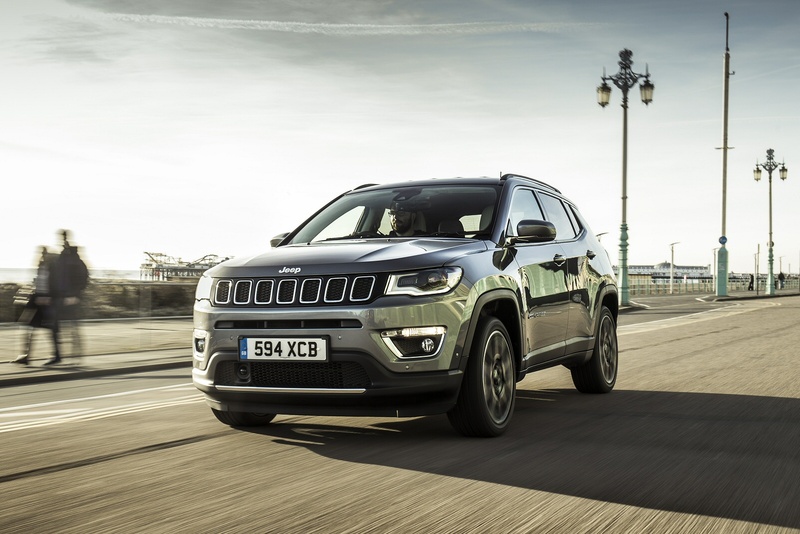 Jeep has a heritage going all the way back to 1941, but models capable of competing in volume areas of the SUV sector have only arrived in fairly recent years, cars like this much improved Compass. Previously, the brand tried to campaign in the mid-sized part of this segment with its Cherokee range, but that model's now been pushed up-market a little to compete with slightly more serious volume-band mid-sized SUVs like upper versions of Toyota's RAV4 and Honda's CR-V. 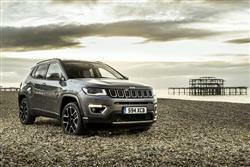 In the past, Jeep has compromised on-tarmac prowess in pursuit of rock-hopping credibility. No longer. This Compass will still go further in the muck than most of its Qashqai-class rivals but the idea now is that you shouldn't be constantly reminded of the fact on the school run. Just as importantly, this model's smarter 'mini-Grand Cherokee' looks will need to be more than skin-deep, blended with a value proposition strong enough to lift this Compass clear of other class competitors. If Jeep has pulled all of this off in this car, then its prospects may yet look bright. The Compass line-up is based around a Multijet diesel engine range. There's a 120bhp 1.6-litre unit and a 2.0-litre powerplant available in either 140 or 170bhp guises. There's also a 1.4-litre petrol unit with 140 or 170bhp. Four wheel drive is only available on the 170bhp petrol model or the 2.0-litre diesel. The 170bhp 2.0-litre diesel comes with a 9-speed auto gearbox, boasts a lusty 380Nm of pulling power and will be the primary choice of towers. 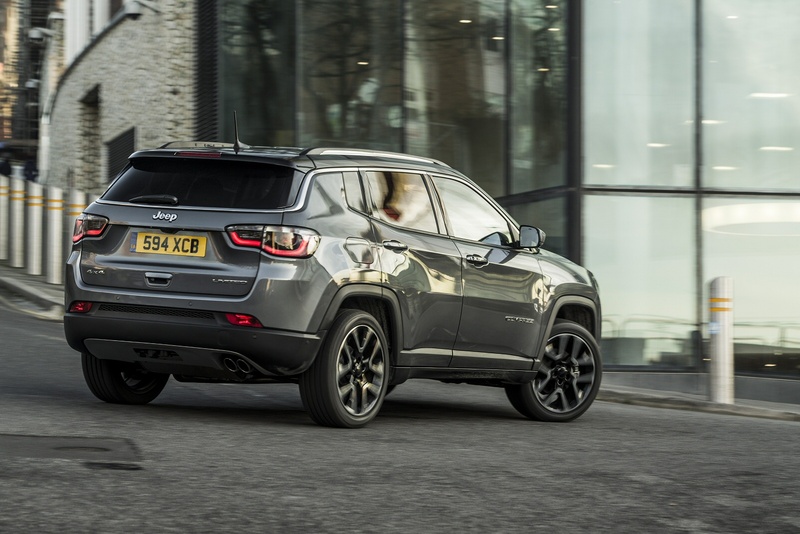 This Compass model shares its underpinnings with Jeep's Cherokee, so you'd expect even mainstream variants to be more capable than the average family Crossover if you ever take to the wilds. Four-wheel drive models get rear-axle disconnect, which improves efficiency by switching to two-wheel drive when all-wheel drive isn't required. 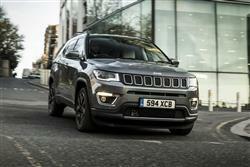 In the unlikely event that you're likely to be off roading frequently, you might be interested in the flagship Compass Trailhawk variant, which uses the top 170bhp 2.0-litre diesel engine and features extra body cladding, higher ground clearance, a low-range gearbox and steeper approach angles. This derivative features the 'Jeep Active Drive II' chassis that gets a two speed power transfer unit, which includes torque management and low range gears to lock the front and rear drive shafts for low speed grunt. The exterior looks of this Compass model are less daring than is the case with the brand's smaller Renegade SUV. Trademark Jeep elements include the large, seven-slot front grille and the trapezoidal wheel arches and the contrast colour roof is a smart touch. The sharp LED headlights look good too. Inside, the fascia features plenty of soft-touch plastics but the overall design isn't as characerful as is the case with rivals like Peugeot's 3008. A few touches of black gloss plastic lift the ambience and the seats look smart and feel supportive. As with most new Fiat Group models, in the centre of the dash of this one, you'll find a 'Uconnect' infotainment screen, available in either 5, 7 or 8.4-inch sizes, depending on the model you select. This monitor controls the navigation, entertainment and other in-cabin heating systems: we'd prefer if the ventilation controls had remained with old-fashioned knobs. It's not always very intuitive to be stabbing away at a touchscreen. At the back, shoulder room and legroom are both good, but if you get a version fitted with the panoramic sunroof, adult headroom is restricted. The 438-litre boot is roomy too - a fraction larger than a rival Qashqai's. It's annoying though, that you can't flatten to the rear bench without coming round to the side doors. Jeep is slotting this Compass in between its Renegade and Cherokee models. Pricing is in the £23,000 to £36,000 bracket and there are three trim levels, 'Sport', 'Longitude' and 'Limited', plus a further off road-orientated 'Trailhawk' variant at the top of the range. Standard equipment across the range includes air conditioning, a 'Uconnect' touchcreen infotainment system with a DAB audio set-up and Bluetooth, alloy wheels, tyre pressure monitoring, and remote central locking. Plusher models add larger aluminium wheels, roof rails, body coloured door mirrors and handles, cruise control and front fog lamps, plus a larger 8.4-inch screen with sat nav for the 'Uconnect' infotainment set-up. On to safety. All models get the expected things - Isofix childseat fastenings, tyre pressure monitoring, an energy-absorbing steering column, hill start assist to stop you from drifting backwards on uphill junctions and twin front, side and curtain airbags. To try and make sure those 'bags won't be needed, there's plenty of electronic assistance. ESC stability control and Electronic Roll Mitigation of course, plus 'All speed traction control' and a 'Brake Traction Control System' to offer extra grip on start-off or through the bends. The ABS braking system features 'Panic brake assist' and 'Ready Alert Braking' to quicken emergency stops. There's a 'DST' 'Driving Steering Torque' system to counter scary oversteer on low-grip surfaces. And 'Trailer Sway Control' will come in useful too if you'll be fitting a towbar and doing some towing. 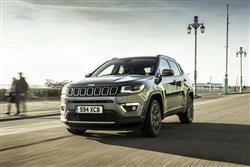 Jeep has worked hard to improve the efficiency of this Compass model. As well as improving the efficiency over its brick-like forebear, the nine-speed transmission in top variants offers a contribution to lowering frictional losses. With fewer open shift elements in the gearbox, drag losses due to multiple parts rotating relative to one another are reduced, improving fuel efficiency. The MultiJet common rail injection system's engine management, also optimises economy, introducing tiny quantities of fuel with the main injection cycle. The 2.0-litre turbo diesel engine also incorporates "Stop/Start" technology that improves fuel efficiency and reduces CO2 emissions. Drivers can deactivate this via a button on the dashboard and an icon displays in the instrument panel to indicate the Stop/Start status. The rear axle disconnect feature on 4x4 variants further helps to improve fuel efficiency. So to the figures. The volume 138bhp 4WD variant manages 49.6mpg on the combined cycle and 148g/km of CO2. Of course, the ultimate figures you achieve will depend very much on how you drive, something you can monitor and improve if you've downloaded the infotainment system's 'Uconnect LIVE' app onto your smartphone. This gives you an 'eco:Drive' section that enables you to develop your driving style, save fuel and check your car's CO2 emissions in real time. During each trip, 'eco:Drive monitors four driving parameters: acceleration, deceleration, changing gears and speed variation. If you�re looking for a new Jeep Compass 2.0 Multijet 170 Limited 5dr Auto Diesel Station Wagon for sale, you�ve come to the right place. 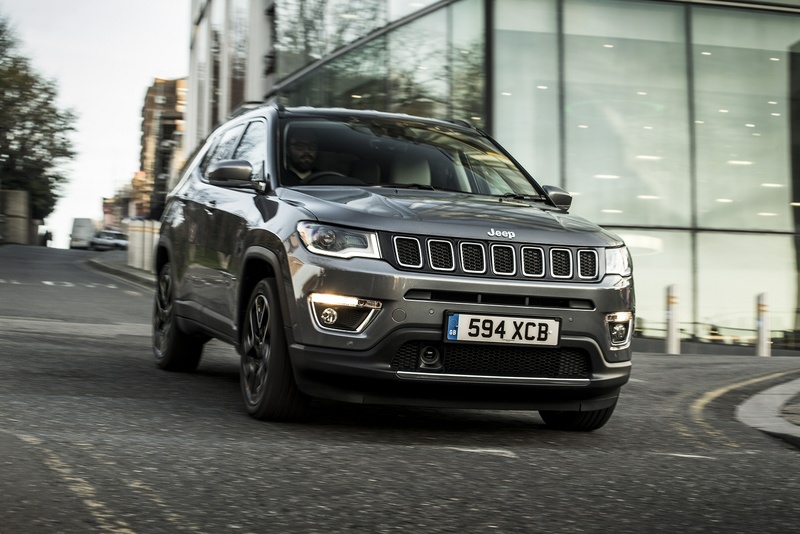 At Bristol Street Motors we don�t just have the best Jeep Compass 2.0 Multijet 170 Limited 5dr Auto Diesel Station Wagon deals, we also offer friendly advice and help with all your enquiries to ensure your buying experience is a happy experience.